What Do Amiibo Do in Splatoon 2? 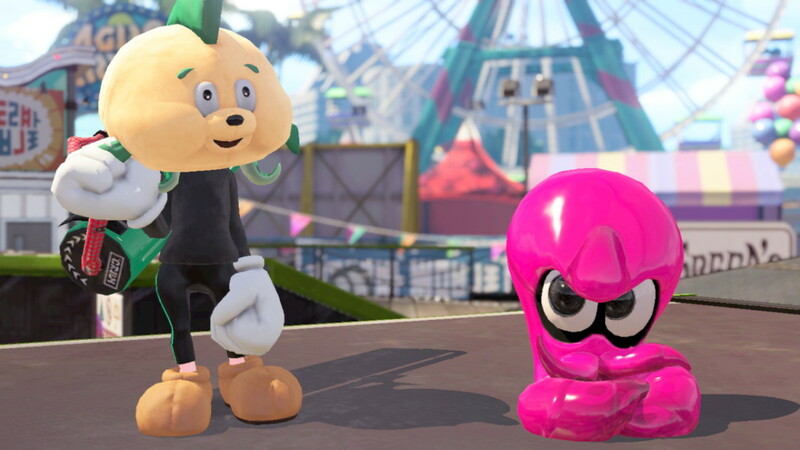 All Splatoon and Splatoon 2 Amiibo can be used to unlock Amiibo-exclusive gear in Splatoon 2. 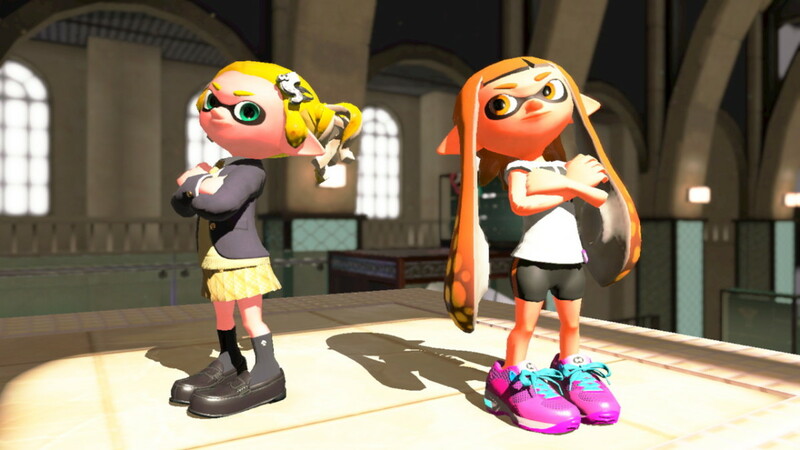 The original Inkling Girl, Inkling Boy, and Inkling Squid Amiibo from the first Splatoon game unlock the same gear in Splatoon 2 that they unlocked in the original Splatoon for Wii U, but now you do not need to complete challenges to unlock them. Callie and Marie from the original Splatoon Amiibo series also unlock exclusive gear in Splatoon 2. The Splatoon 2 Amiibo series includes a new version of the Inkling Girl, Inkling Boy, and Inkling Squid. 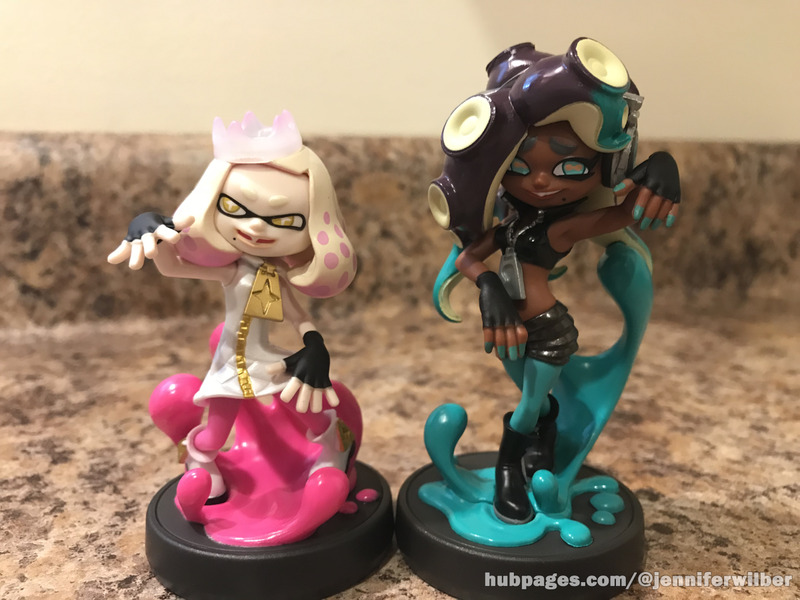 The two new idols, Pearl and Marina, where also just released as Amiibo figures. These Amiibo unlock exclusive new gear as well. Each Amiibo unlocks three pieces of gear, including headgear, clothing, and shoes, all with special abilities. In addition to gear to customize the appearance of your Inkling or Octoling character, each Amiibo also unlocks a song to play at the Squid Beatz 2 arcade machine in Inkopolis Square. An Octoling Girl, Octoling Boy, and Octoling Octopus Amiibo were also announced with the release of the Splatoon 2: Octo Expansion. These Amiibo will be released later this year as a special 3-pack. The original Splatoon Inkling Amiibo were released in two different color variants. The original set includes the orange Inkling Girl, blue Inkling Boy, and green Inkling Squid. Later on, a second variant set of these Amiibo were released with the green Inkling Girl, purple Inkling Boy, and orange Inkling Squid. Both Inkling Girl and Inkling Boy Amiibo were available separately or as part of a special 3 pack that also included the Inkling Squid. The Inkling Squid Amiibo were only available as part of these special 3 packs in North America, though they were available individually elsewhere in the world, including Japan. The only difference between the two versions of each of these Amiibo is their color scheme. The different color variants of each of these Amiibo unlock the same gear and the same song, so you only need one of each if you just want to collect the gear. Callie and Marie’s Amiibo are only available in a special two pack. Together, these two Inkling cousins form the iconic pop duo The Squid Sisters. 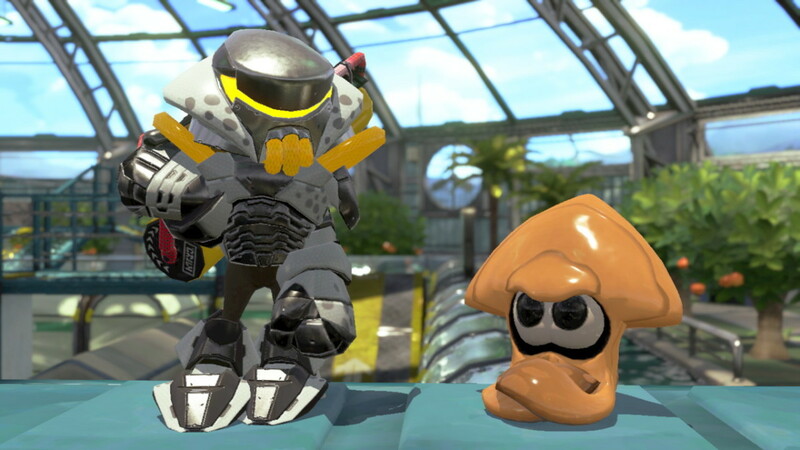 These two Amiibo can only be used in Splatoon 2 after beating the main story mode. If you try to use Callie or Marie before completing the main story mode, you will see a message telling you that the character is busy, and to try again later. The Splatoon 2 Inkling Amiibowere released at the same time as the game. The Splatoon 2 Inkling Girl Amiibo features an Inkling Girl as she appears on the game’s cover art. She has a short tentacle hairstyle with pink tentacles. The Splatoon 2 Inkling Boy Amiibo features an Inkling Boy with a spiky tentacle hairstyle and green tentacles. These three Amiibo are available individually. 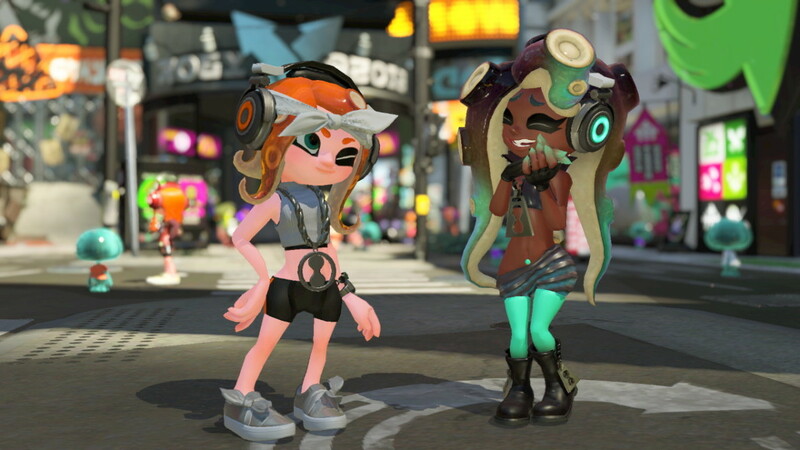 Together, Pearl the Inkling and Marina the Octoling comprise the hip-hop duo Off the Hook. The Pearl and Marina Amiibo are available together in a special 2-pack. 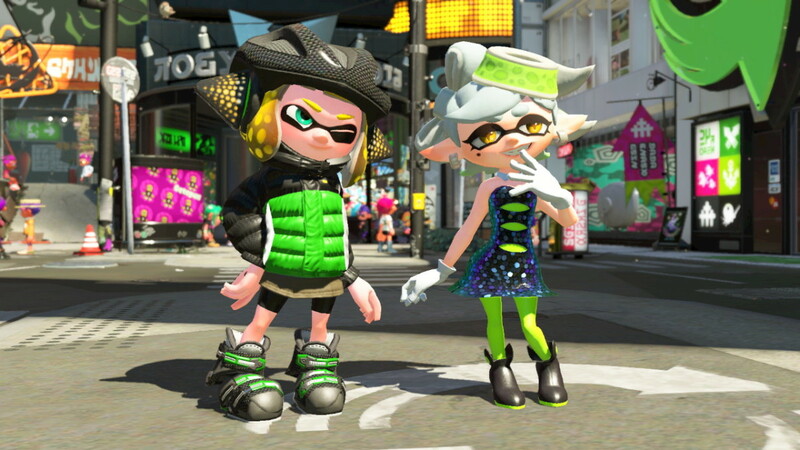 The gear unlocked by these Amiibo looks like the outfits worn by Pearl and Marina in the Splatoon 2: Octo Expansion. In addition to the unlockable gear, these Amiibo also allow players to take a picture of their character on stage with Off the Hook during Splatfest events. Instead of new songs for Squid Beatz 2, players receive new themes and sound effects for Squid Beatz 2. 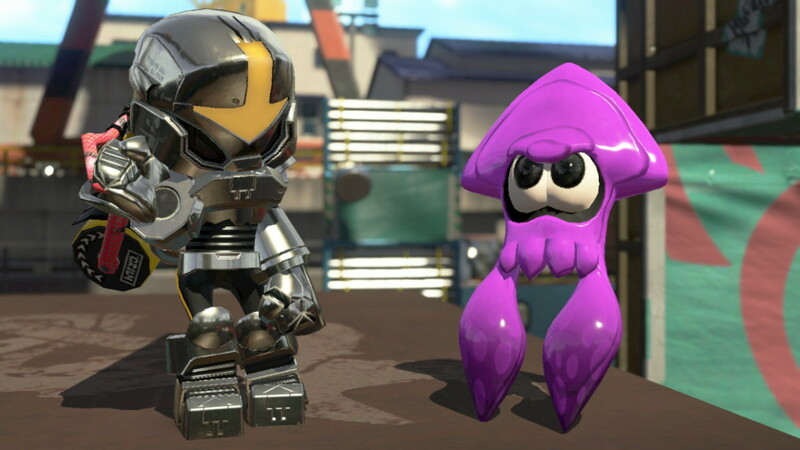 For these two Amiibo, you will get the headgear items the first time you use the Amiibo in game. To get the second two pieces of gear for each Amiibo, you must save an outfit to the Amiibo, then go back to the giant Amiibo box to use the Amiibo again. The rest of the gear should now unlock. The Octoling Girl, Octoling Boy, and Octoling Octopus are the latest Splatoon 2 Amiibo to be released. 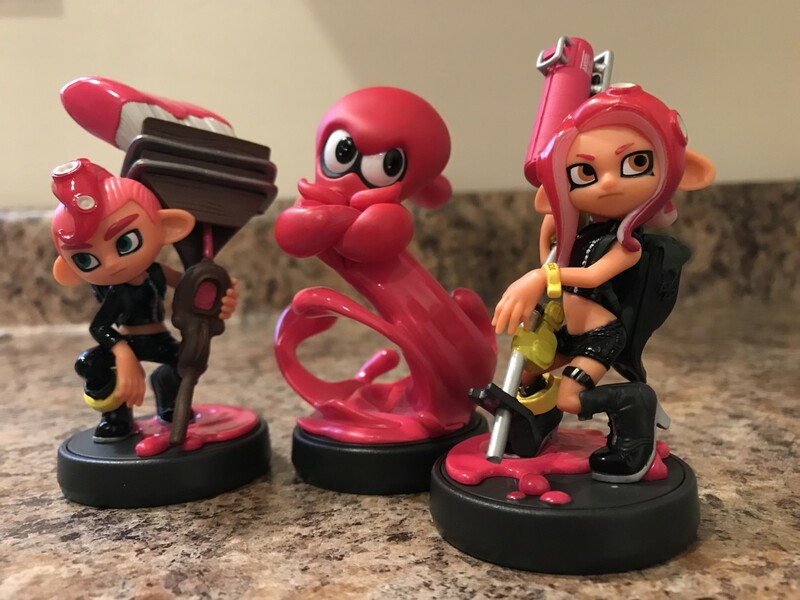 The Octoling Amiibo are available as a special 3-pack. These Amiibo were released in Japan and Europe on November 9th, and in North America on December 7th. These Amiibo unlock exclusive gear for Splatoon 2 and a song, just like the other Splatoon Amiibo. 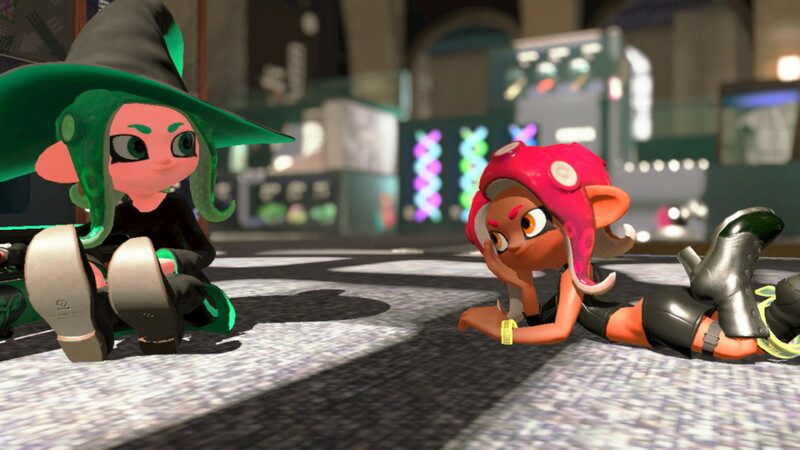 The Octoling Girl will unlock a witch/wizard outfit, called the Enchanted set. 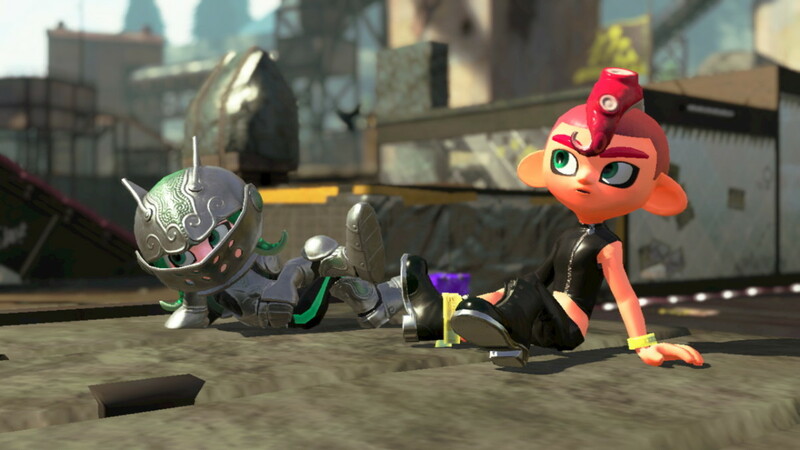 The Octoling Boy will unlock the "Steel" gear, which give the player the appearance of a medieval knight. The Octoling Octopus Amiibo unlocks the most frightening outfit of all; a "Fresh Fish" mascot outfit, based on a popular Inkopolis character. To unlock the gear, visit the Amiibo box in Inkopolis Square. You will need to save gear to the Amiibo to unlock all the the available gear, as with previous Amiibo releases. Check out the video below to preview the new Amiibo gear. 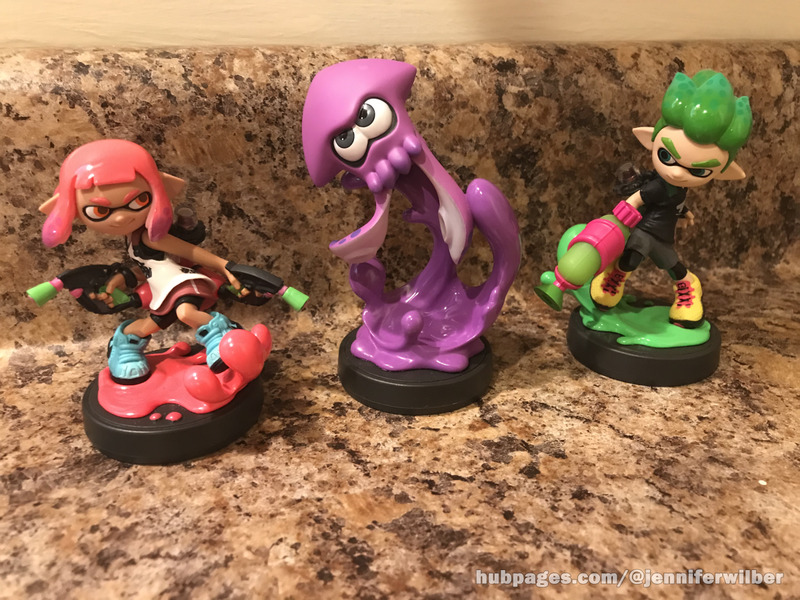 Though many Splatoon fans collect the Amiibo for the series mainly to have cool collectable figures of their favorite characters, these interactive figurines do provide some benefits when you use them in game. You can unlock a variety of unique gear with different abilities by using Amiibo, as well as unlock new songs for the Squid Beatz 2 arcade machine. 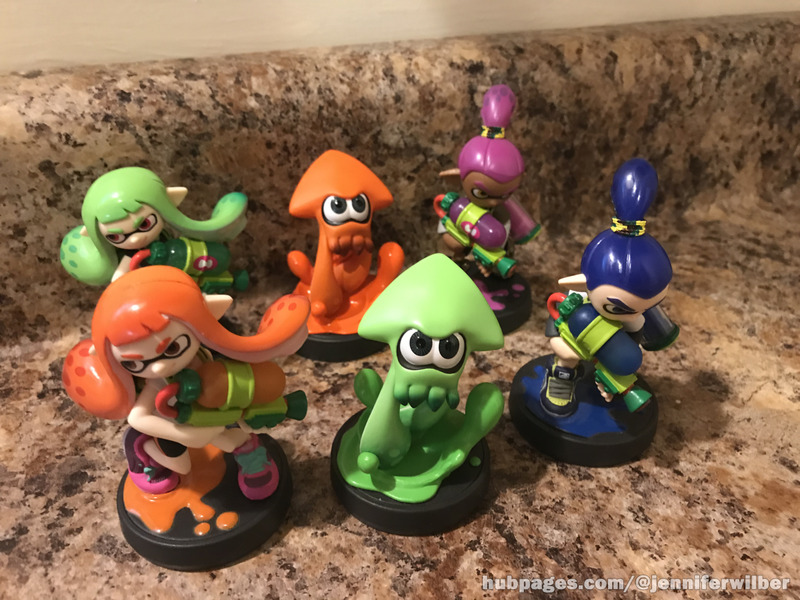 While these Amiibo are not necessary to enjoy Splatoon 2, they are a fun addition to the game for fans who want to collect the figurines anyway. How do you get the other gear from the Pearl and Marina Amiibo? I scanned them both, and only got the headgear. Do I have to be at a higher level? I'm already past level 10. The first time you use your Pearl Amiibo, you will receive the "Pearlescent Crown." Likewise, you will receive the "Marinated Headphones" the first time you use your Marina Amiibo. 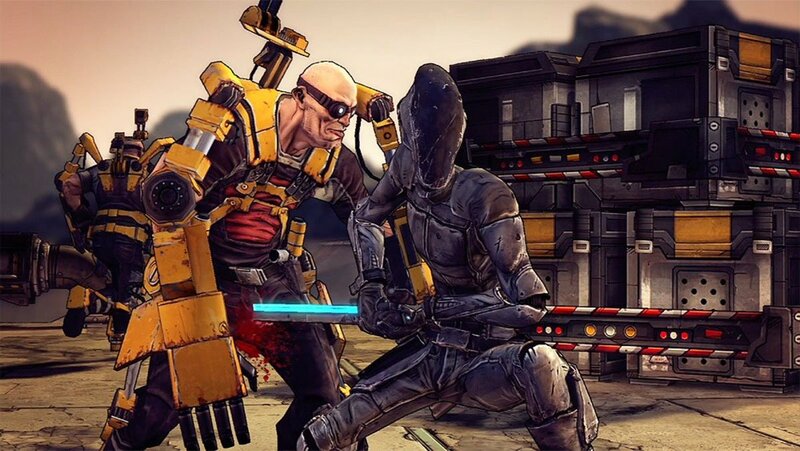 You will notice that they do not give you the additional gear if you try to immediately scan them into the game again. 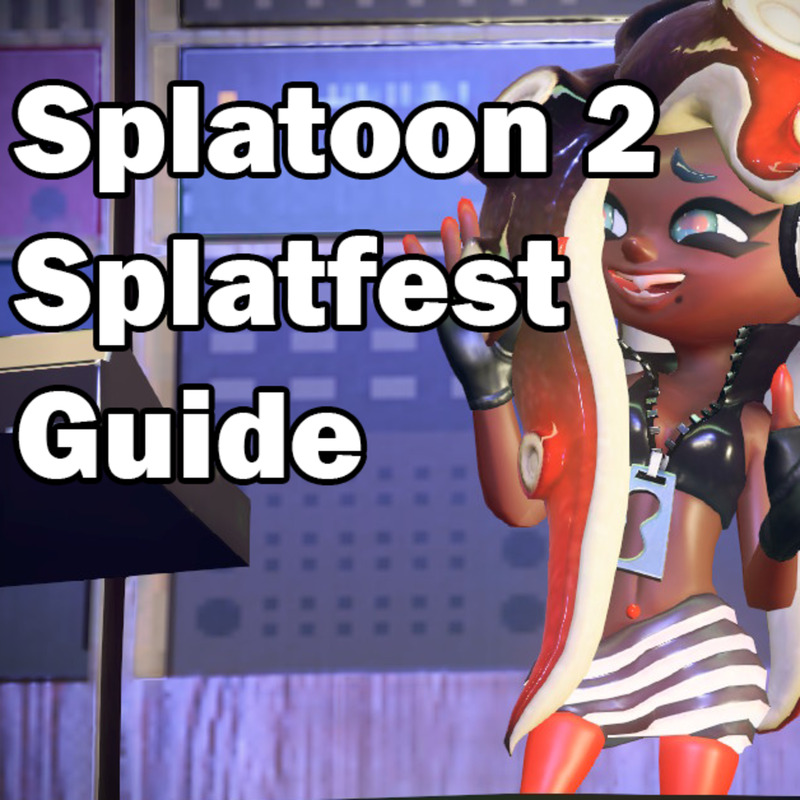 To unlock the other pieces of gear from each Off the Hook Amiibo, you must first save an outfit loadout to the Amiibo. To do this, press the + button on your Switch controller while in Inkopolis Square to bring up the main menu. Now go all the way to the last tab on the right. Under the Other tab, select the Amiibo tab. You will be able to choose your desired loadouts to save to the Amiibo. 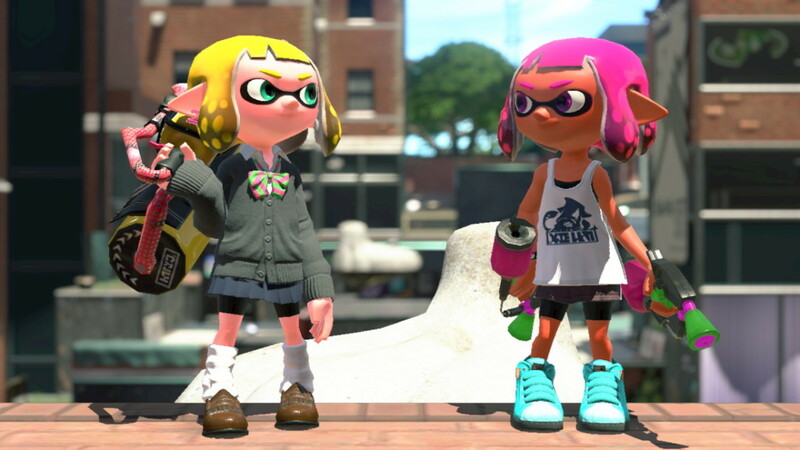 Once you have saved an outfit to the Amiibo, scan the Amiibo at the giant Amiibo box in Inkopolis Square once more. 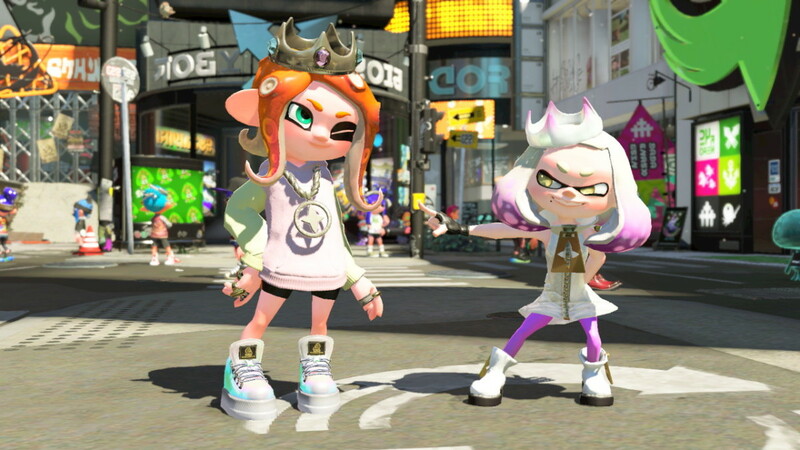 You will now receive the other two pieces of gear for that Amiibo (the "Pearlescent Hoodie" and the "Pearlescent Kicks" for Pearl and the "Marinated Top" and the "Marinated Slip-Ons" for Marina.) You will also receive new themes and sound effects for Squid Beatz 2 from the Pearl and Marina Amiibo. 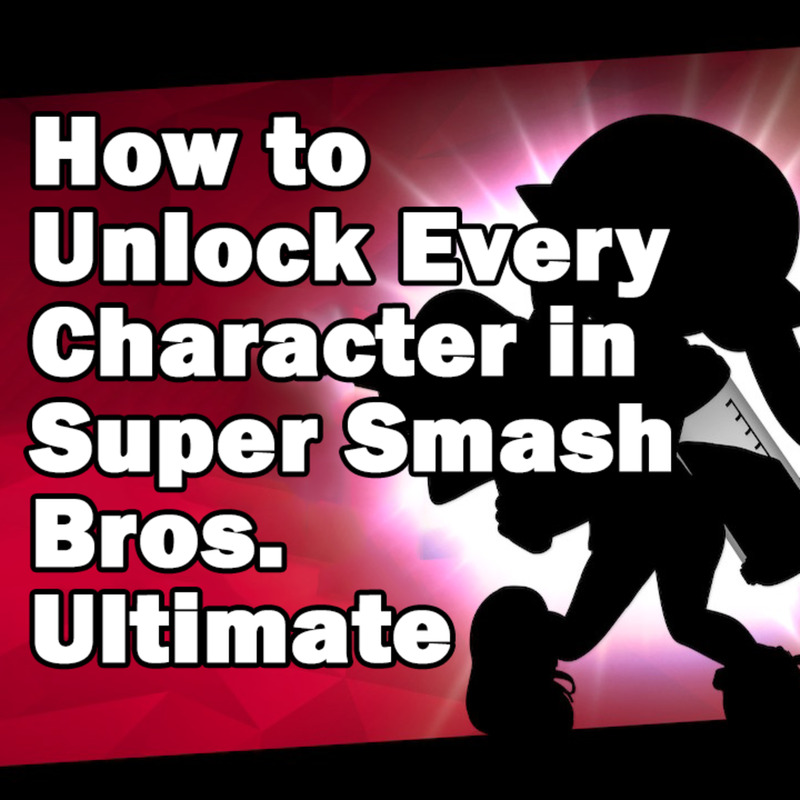 Repeat the process with the other Amiibo to unlock her unlockable gear. Does the new Super Smash Inkling Amiibo unlock any new gear in Splatoon 2? The Super Smash Bros Ultimate Inkling Amiibo unlocks the same gear as the original Inkling Girl Amiibo (from Splatoon 1) in Splatoon 2. You can only save data for one game on it (I tried it in Splatoon 2 first, then had to erase the data from the Amiibo to use it in Smash). I am already level 58 in Splatoon 2 and I got the green squid Amiibo. It gave me the helmet, but not the rest of the armor. How do I get the rest of the armor? Try saving a set of gear to your Green Squid Amiibo and scan it again. What is the release date for the Octoling Amiibo? The Octoling Amiibo 3-pack set is scheduled to release on November 9th in Japan and Europe. Unfortunately, for fans in the United States, and Canada, these Amiibos won't be available until December 7th in North America, almost a month later than the rest of the world. How do you take a picture with Marina and Pearl on stage during Splatfest with their Amiibo? 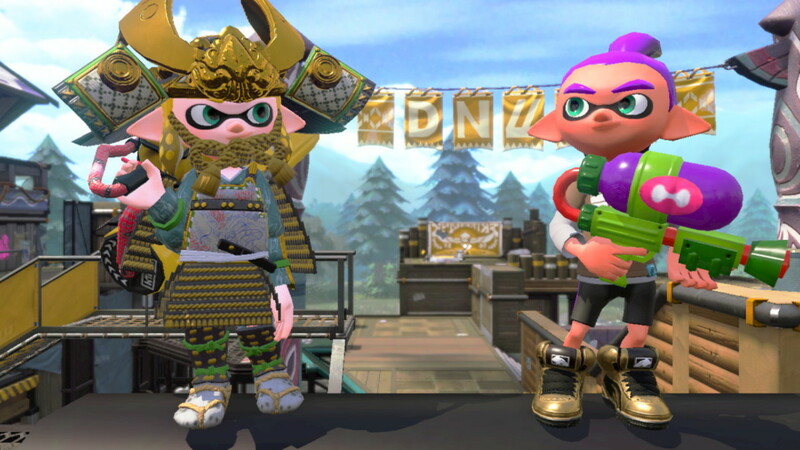 Taking a picture of your in-game character posing with Pearl or Marina on stage during Splatfest events is easy. All you need to do is go to the giant Amiibo box in Inkopolis Square and scan your Peal or Marina Amiibo in like you normally do. The Amiibo will ask if you'd like to take a picture with her. When you confirm that you would like to take a picture, you will appear on stage with your selected character. 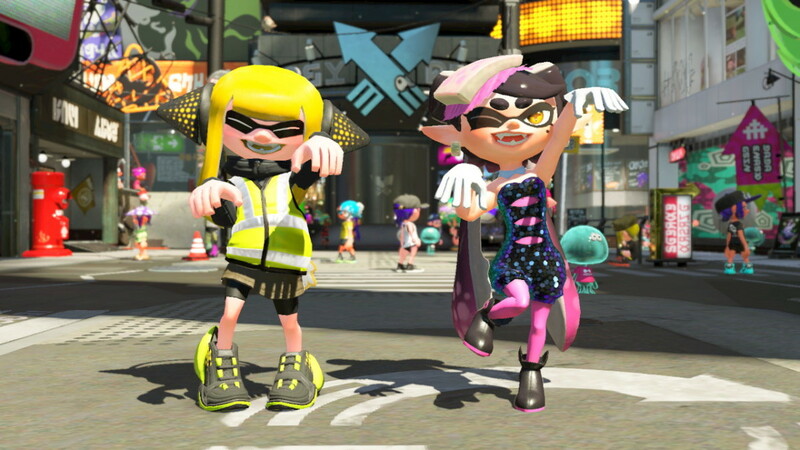 You can select from different poses for both your player character and Marina/Pearl, just like you normally can when you take a picture with them. The only real difference between taking a regular picture and taking an on-stage photo during Splatfest is that the background is changed to the Splatfest concert during Splatfest. What are the requirements to unlock the Splatoon Amiibo because I'm level 50? 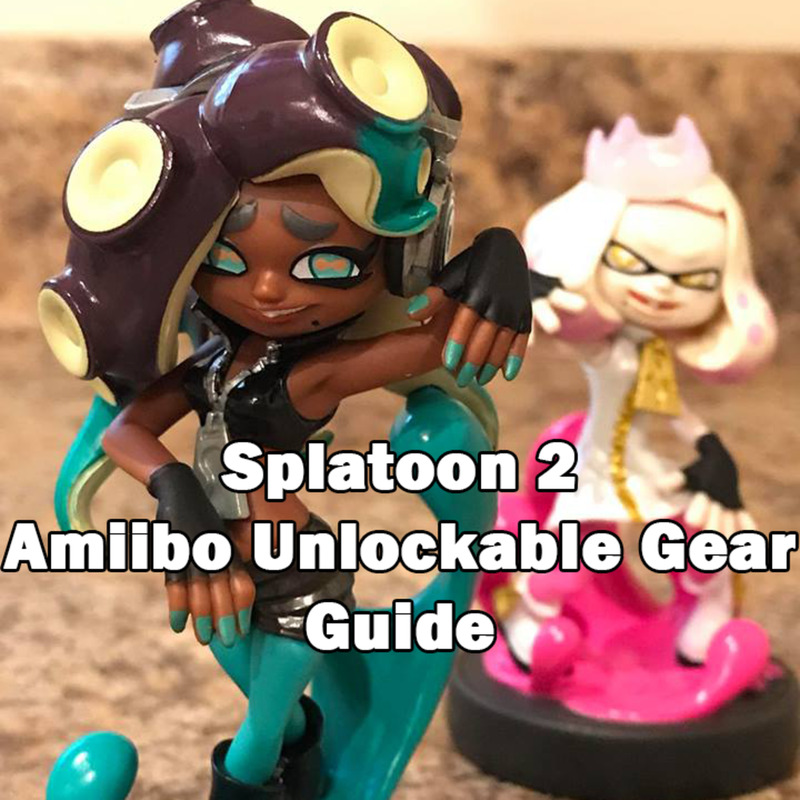 For all of the currently released Amiibo except Off the Hook (Pearl and Marina), you can get the first piece of gear at level 1, the second at level 5, and the third at level 10. Just go back to the Amiibo box and scan the Amiibo again to unlock each piece of gear. There are no level requirements for Pearl or Marina. You will get the first piece of gear the first time you scan each Amiibo. For the rest of the gear, you need to save an outfit to the Amiibo, and then scan the Amiibo again. To save an outfit to an Amiibo, press the + button, then select the "Other" tab, then click on "Amiibo." You can save your outfit to the Amiibo here. Once the outfit is saved, you can easily re-equip these items by scanning the Amiibo. You will also be able to acquire the rest of the items from the Amiibo in the case of Marina and Pearl. After you save the outfit to the Amiibo, return to the Amiibo box in the square to scan the Amiibo again. You should now be able to unlock the rest of the items. If the Amiibo has already been used on another account, it will need to be unregistered from the first account before it works for another account. 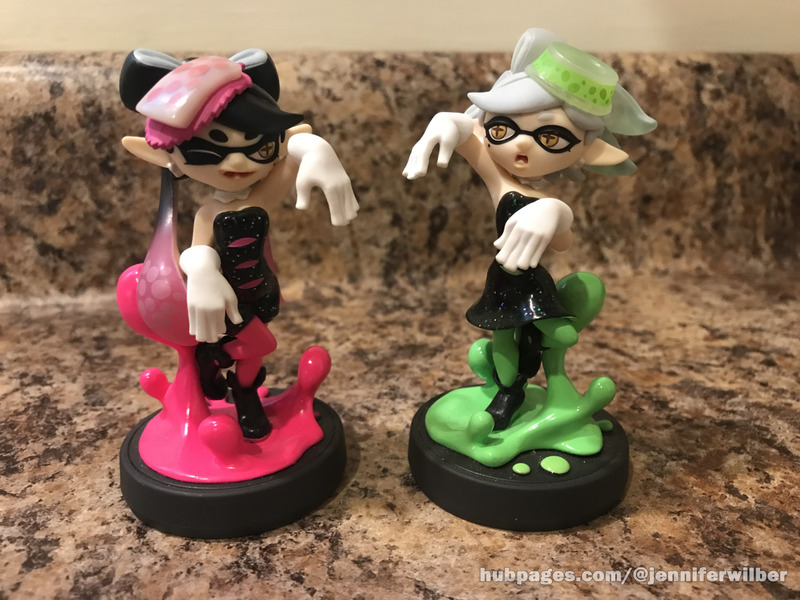 Do you know how to get the Callie and Marie Amiibos for a cheap price? It will likely be cheaper to get the Japanese versions of these Amiibos than the US versions from Amazon or eBay, though they will still likely be more expensive than the original retail price. Because the Callie and Marie Amiibo are so sought-after, they are hard to find and are often more expensive. 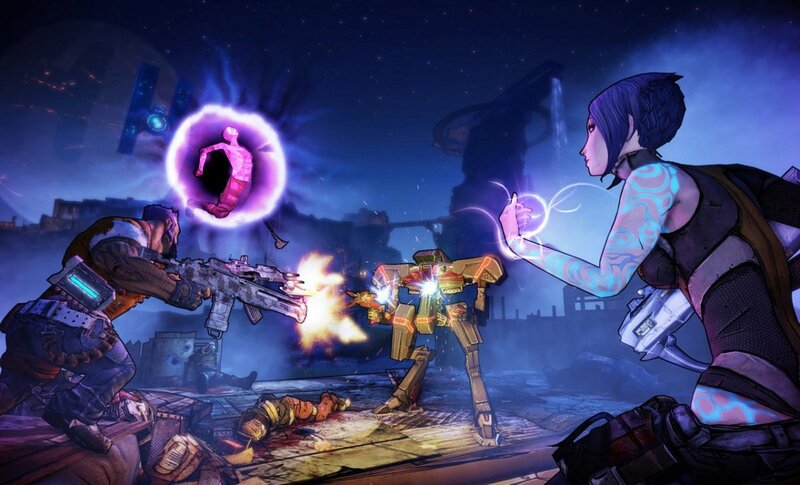 If you do end up importing the Japanese versions, they will work exactly the same on a US Nintendo Switch. The only difference is the packaging. Is there a level requirement for the new Octoling Amiibo in Splatoon 2? What's your favorite Splatoon 2 Amiibo? In Splatoon 2, if Callie unlocked Agent 3's gear if you scan her Amiibo, and you get the Hero Suit Replica when you complete Hero Mode in Splatoon 1, what did she give you in Splatoon 1? The Callie and Marie Amiibo let you listen to Squid Sisters songs from the Original Splatoon Soundtrack when used in Splatoon 1 on the Nintendo Wii. Callie and Marie also each have their own solo songs that can be accessed by using their Amiibo. They don’t unlock any gear in Splatoon 1. My Splatoon 2 Amiibo gear guide gave me the headgear but not the other clothes. I've played a turf war, but nothing happened. What should I do? 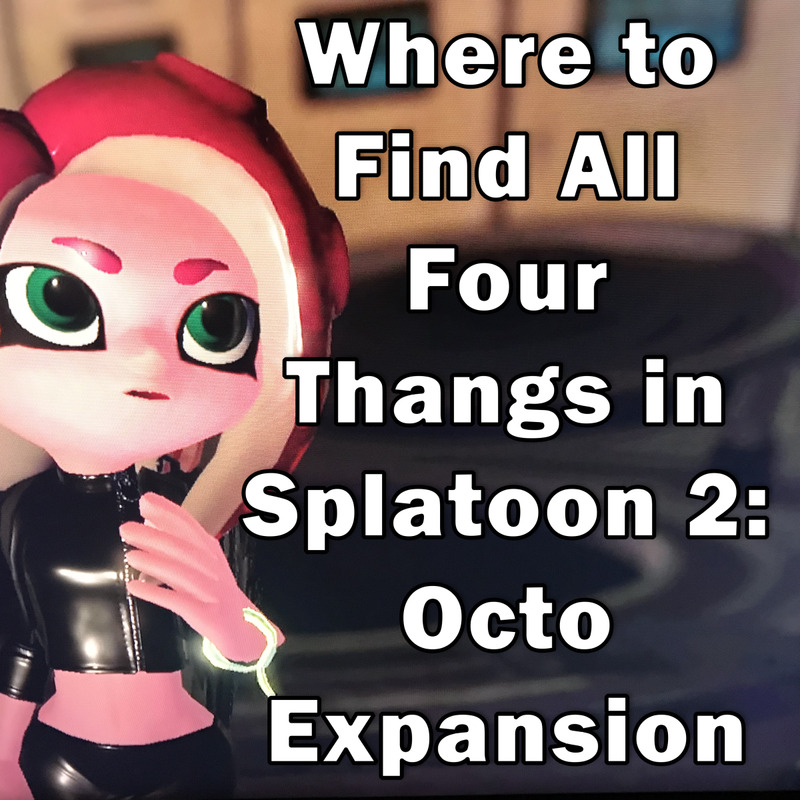 Are you referring to the Marina and Pearl Amiibo? If so, you need to save an outfit to your Amiibo before you are able to obtain the other two pieces of gear. To do this, press the + button and then go to the "Other" tab and click on "Amiibo." Here you have the option to save your current outfit to the Amiibo. After your outfit is saved, you will also be able to get the rest of the gear from the Amiibo. To get the gear now, return to the Amiibo box in the square and scan the Amiibo again, just like you did to obtain the headgear. You should now be able to unlock all of the gear. 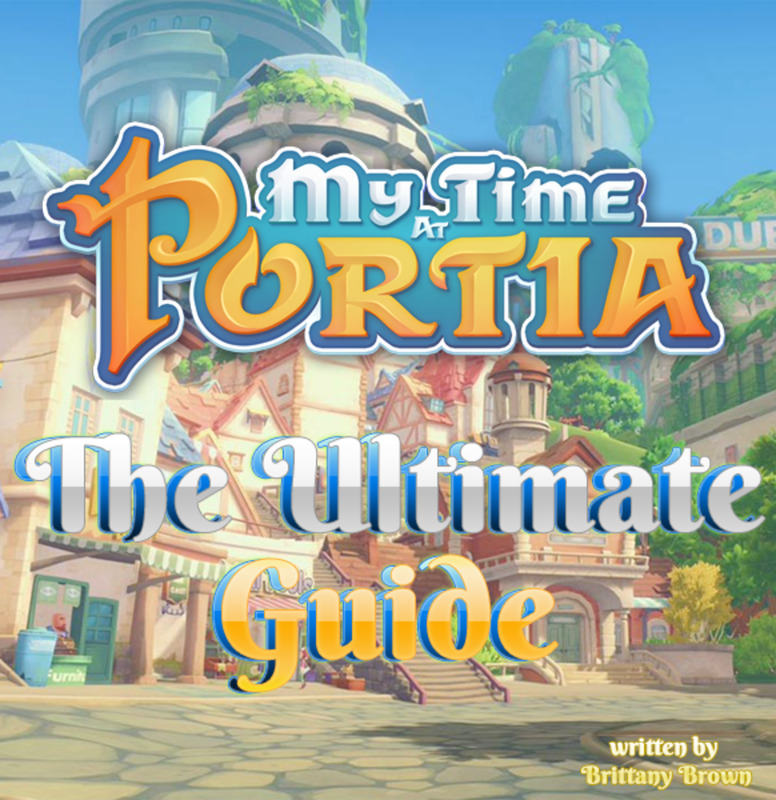 The Ultimate "My Time at Portia" Guide: Tips, Tricks and How to Make Money! Guy, they are both good. Which one is better depends on which outfit you prefer. 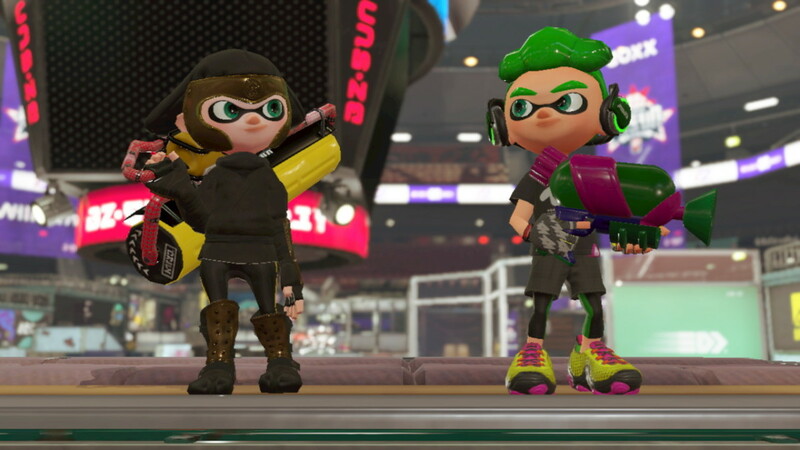 That is my Octoling, Niika, in the screenshots. 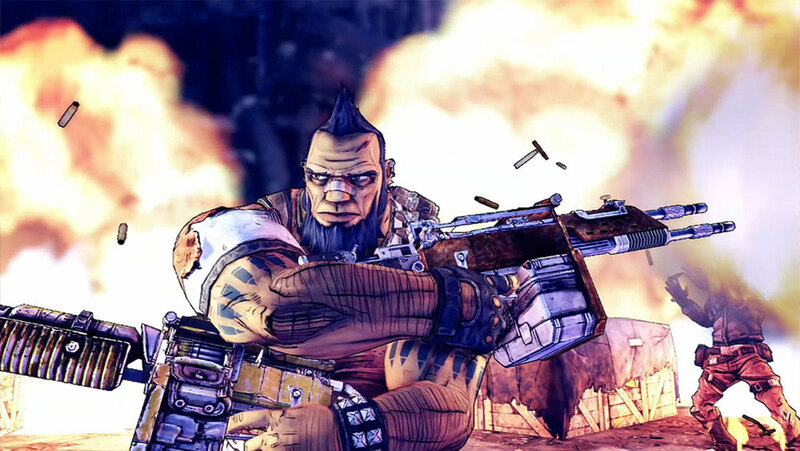 You can only take pictures like these of your own character in the game. The Octoling in the pictures of the Pearl and Marina Amiibo is my friend's Octoling, Sofia!! YAYY! Hi, Sofia! The New Amiibo Gear Came out. Did you try to save an outfit to each Amiibo? Also, were these Amiibo registered to someone else's account first (for example, a family member used them first, you borrowed them from a friend, or you bought them used)?